This year, embrace winter like you never have before. Enjoy the view of the frozen landscape from high atop a mountain, head deep into the wilderness, or explore an iconic landmark you’ve only visited in summer to appreciate the new perspective Old Man Winter offers. Depending on your familiarity with the area you choose to explore, it might be advisable to take along a trusted guide to help you navigate through winter’s wonderland. Luckily, whether your preferred mode of winter transportation is a snowmobile, snowshoes - or even sled dogs - tour operators across Newfoundland and Labrador are available to lead the way. Visitors who flock to Gros Morne exclusively in the summer are missing out on what might just be the most scenic season to explore the region. Once a backcountry specialist for Gros Morne National Park, Clement Reid (pictured above) now runs Clem’s Trekking Adventures, guiding snowshoe enthusiasts to the park’s most stunning winter vistas. In addition to coastal lowland routes following fairly flat terrain, Clement leads the way to towering vantage points like the one atop Big Lookout - an eight-hour trek on the south side of Bonne Bay that rewards travellers with stunning views of the Tablelands, Bonne Bay and the rugged coast of the Great Northern Peninsula. He says a six-hour journey into the Southeast Hills makes for an excellent snowshoeing experience, covering varied terrain that includes mild hilly sections, forests and frozen lakes. And folks looking for a shorter jaunt will enjoy a four-hour hike to Big Hill, offering a gorgeous view of Bonne Bay. Clement, who grew up hiking the hills of Gros Morne, also customizes outings to suit his clients. Whether you’re into snowmobiling, snowshoeing or cross-country skiing, David Keats, owner/operator of Shudamunks Adventure Tours, can lead you on an exciting journey through the wintry wilderness of Newfoundland’s southwest corner. Adventurers can bask in the beauty of the Port aux Basques area, heading down the coast toward Margaree, or travel alongside the magnificent 518-metre Table Mountain. But when it comes to scenery, David says his tours into the scenic Codroy Valley just can’t be beat. “That’s about the prettiest scenery you’re going to get,” he beams. Each tour includes ice fishing and a trail lunch enjoyed beside a crackling fire or in the warmth of a Labrador tent. 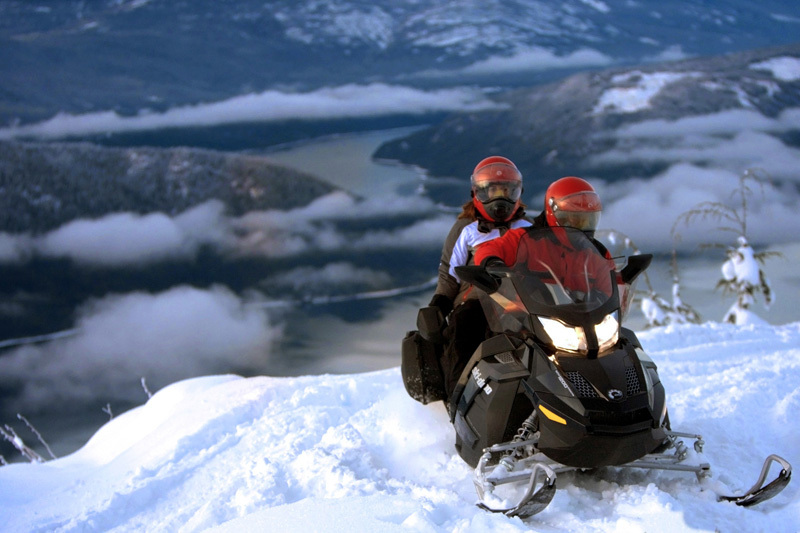 Snowmobilers may avail of half-day or overnight tours, while snowshoe and ski treks typically last between three and six hours (though David is open to customizing longer or shorter excursions). Darren Park of Four Seasons Tours, based in Cox’s Cove, Newfoundland, guides snowmobilers to stunning winter scenery along the island’s west coast. Some of his most popular day trips include the journey into the North Arm Hills on the north shore of the Bay of Islands, and the ride to Old Man’s Pond (pictured above) - a stunning scene east of Cox’s Cove. Darren also guides snowmobilers to the Lomond Sinkhole, a spectacular natural formation located just outside the border of Gros Morne National Park, near Wiltondale. Approximately 30 metres deep and 45 metres wide, the massive crater transforms into a frozen wonder in the dead of winter - with the sounds of a rushing waterfall still audible from behind a giant sheet of ice. Along the way, you might drop into Darren’s cosy backcountry cabin located at Goose Arm to enjoy a hot drink beside the fire, and feast on caplin, smoked mackerel and homemade muffins. There are also half-day tours to Darren’s cabin and back. Just steps from the ski slopes at Marble Mountain is the headquarters for yet another winter lover’s dream. Marble Zip Tours, best known for creating and running the province’s first zipline, also offers guided snowmobile tours on the area’s vast trail network. Spend a full day exploring the backcountry or venture over mountainous landscape, including the beautiful Blow Me Down Mountains west of Corner Brook. Tours include a stop at a cabin for snacks and a chance to warm up. No snowmobile? No problem. Marble Zip Tours offers rentals. And folks can still opt to take a thrilling ride across Steady Brook Falls on the company’s zipline, open year-round. 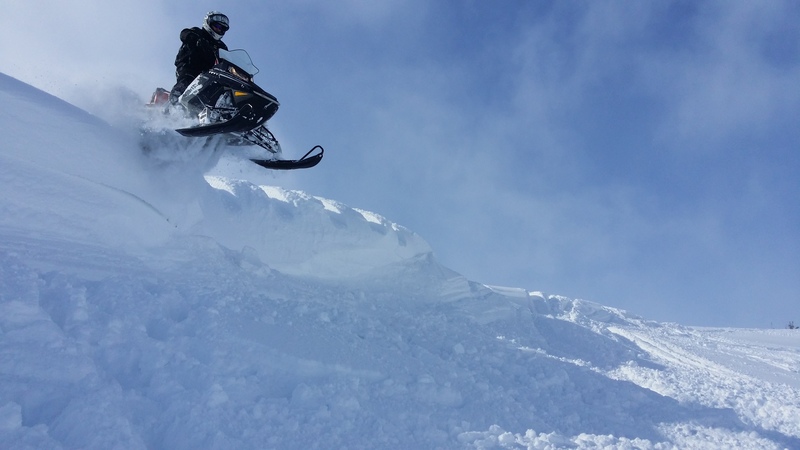 Rob Clarke Motorsports, based in Springdale, Newfoundland, guides snowmobilers to stunning destinations ranging from half-day to multi-day adventures. 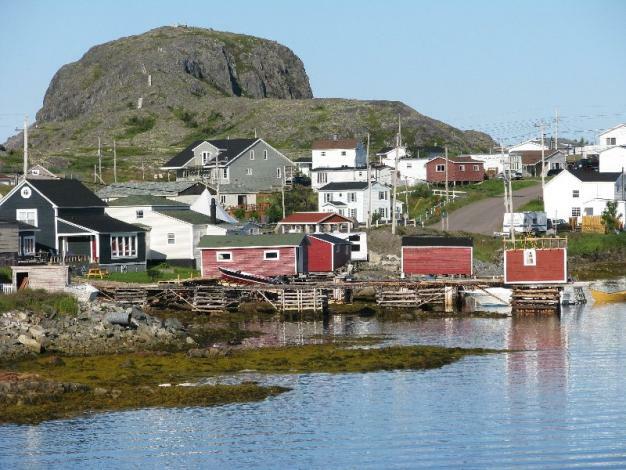 Popular spots include some of central Newfoundland’s highest peaks: the Gaff Topsails, an abandoned railway settlement with sweeping views south of the Baie Verte Peninsula; and Hodges Hills near Grand Falls-Windsor. The company also ventures beyond central, taking snowmobilers to the renowned Western Brook Gorge in Gros Morne National Park, the Lewis Hills, part of the Long Range Mountains, and just about any destination a snowmobile can reach. A wide variety of tour package options include everything from boil-ups to homemade meals, machine rentals and, for multi-day excursions, accommodations. Whether you’re looking for backcountry boondocking, rugged terrain or incredible views, Rob Clarke Motorsports can take you there. Looking for a snowshoe adventure on the Avalon Peninsula? Adventure gear retail store The Outfitters in downtown St. John’s has countless adventures to choose from. When conditions are adequate, on Friday evenings an experienced guide leads snowshoe enthusiasts on short hikes to places like Freshwater Bay, Windsor Heights, Pippy Park, Sunshine Park and many more. Hikes normally cover five kilometres and take about two hours to complete. 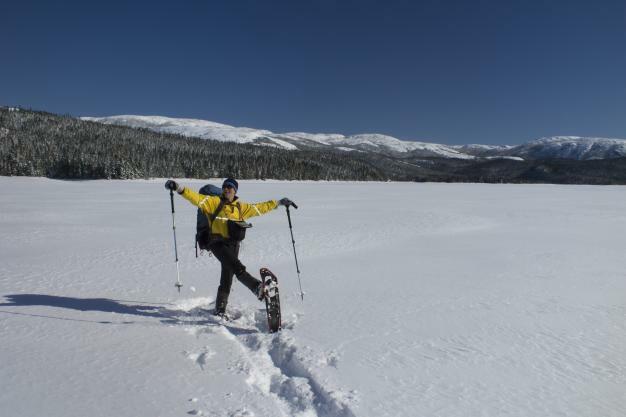 For folks interested in longer treks, there are snowshoe day tours. One of the most scenic options takes adventurers to the Spout, a natural attraction located along the coast between Shoal Bay and Bay Bulls. 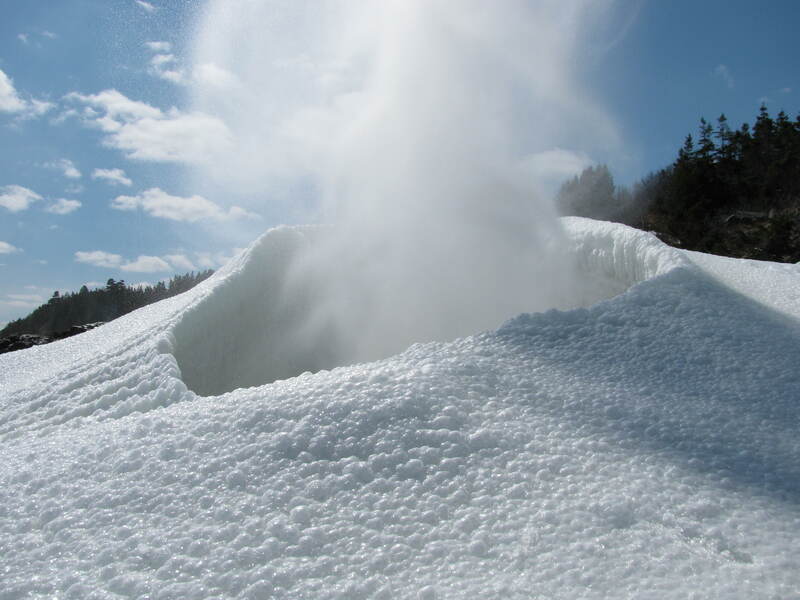 The wave-powered geyser is truly a sight to see in winter, transforming into a conical, snowy structure. Check www.theoutfitters.nf.ca and visit them on social media for scheduling - or if there’s a particular spot you’d like to visit on snowshoes, call them to customize your outing. 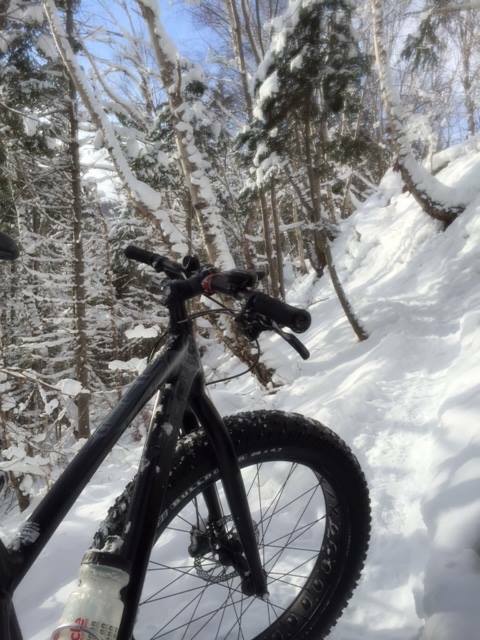 Snowshoe rentals are available in store. Getting from point A to point B by dog team might be considered a unique mode of travel today, but it was once common practice in Labrador - and it’s a tradition that Scott Hudson of Happy Valley-Goose Bay is trying to preserve with his tour company, Northern Lights Dog Sledding. “I grew up on the south coast in a community called Black Tickle and dog teams were very common there,” says Scott. “Just like there’s cars in people’s driveways today, there were dog teams in people’s backyards.” Throughout the winter Scott’s 11 huskies tow clients of all ages between the communities of Happy Valley-Goose Bay, North West River, Sheshatshiu and Mud Lake. Tours typically last three hours, but can be extended to include a break for a boil-up, to do some ice fishing, or to make it an overnight adventure. Many of the tour companies featured above also offer year-round adventures. 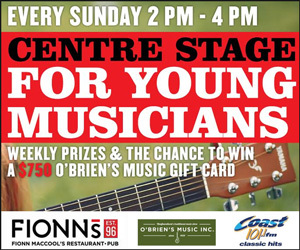 To find out more, click the links in each tour description above. In 1966, the last mine on Bell Island, Newfoundland, closed down suddenly, leaving hundreds of men out of work. These miners didn't have much of a warning before the pumps were turned off and the tunnels - which span more than 100 kilometres beneath Bell Island and Conception Bay - began to fill with water. Over 50 years later, world-renowned scuba diver Jill Heinerth, the Royal Canadian Geographical Societyâs first Explorer-in-Residence, is exploring these mine shafts and has seen first-hand the artifacts left behind. Sheâs also the co-leader of Mine Quest, a project of Conception Bay Southâs Ocean Quest Adventures, aimed at mapping the flooded mines, both for historical records and for future divers.âThere are mines all over the world that are now flooded with water that people dive in. But none like this, where you really do feel like the clock just stopped and everythingâs in place. 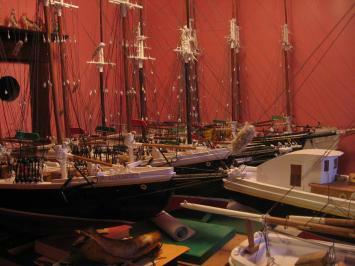 So itâs quite remarkable,â says Jill. World-renowned scuba diver Jill Heinerth is the Royal Canadian Geographical Society's first explorer-in-residence.The floors of the underwater mines are littered with things like graffiti, shovels and lunchboxes that miners forgot to take before leaving the tunnels for the last time.âAfter the mines got flooded, they didnât have an inventory of what was left behind, from the artifacts from the actual mining activities itself, to personal items that miners would have left behind. So itâs a really interesting space. Itâs likeâ¦ time was frozen in the moment when water filled the passages,â says Jill. Since experiencing the mines for herself, sheâs been spreading the word about Bell Island. Her expedition was featured in Canadian Geographic (the Royal Canadian Geographical Societyâs magazine) and in a mini documentary, and sheâs been chronicling her time on (and under) Bell Island on her website, www.intotheplanet.com. Jill has also shared her underwater photos with the Bell Island Historical Society to create a visual archive.But how did she find herself visiting a small island off the Avalon Peninsula in the first place? Back in 2013, Jill and her husband were biking from Vancouver, BC to St. Johnâs, NL to promote water literacy. They contacted Ocean Quest Adventures, a company that offers dives and boat tours, to arrange finishing their ride at that location and âthey totally swept me into their family!â she recalls.Thatâs when Jill learned about the Bell Island mines and the WWII shipwrecks. In 1942, there were two German U-boat attacks that sank the SS Saganaga, SS Lord Strathcona, SS Rose Castle and the PLM 27, a Free French vessel. They were targeted because they were ore carriers, vital to the Alliesâ war effort.Jill explored the sunken wreck of the SS Lord Strathcona, swimming up to the deck gun. On Sept. 2, 1942, this ship was sunk by a German U-boat. It now rests on the bottom of the ocean. (Jill Heinerth photo)The remains of these ships, which have turned into dazzling artificial reefs, have long been popular with divers. Jill vowed to return one day and dive the wrecks. Not only did she keep that promise, but also sheâs returned several times since. 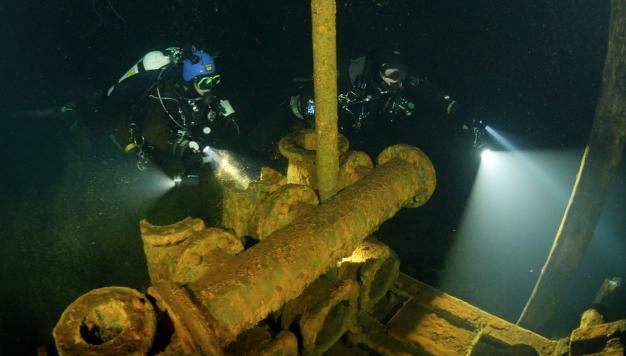 Her most recent trip, exploring the mines and wrecks with Mine Quest, was named a 2016 Expedition of the Year by the Royal Canadian Geographical Society. âThey were very excited because Newfoundland is sometimes underrepresented in our stories of Canadian geography. And certainly, whatâs underwater in Newfoundland had not been talked about much in the media. And this was a great opportunity to share this part of Canada with the rest of Canada and the world, and thatâs really exciting to me,â says Jill.âI set up this project for the Royal Canadian Geographical Society because I wanted to share the story with all Canadians about what I call the hidden geography of Canada, this incredible cultural history story about the people of Bell Island, about the wrecks and the mine.â The mines were recently opened up for dives, arranged through Ocean Quest Adventure Resort.When it comes to planet earth, thereâs still plenty left to explore - a fact not lost on Jill. âWe know more about space than we do about our underwater world here right on earth. But also, as Canadians, thereâs so many corners of this great country that have not been fully explored,â says Jill. âOur geography is so diverse and much of it has not been seen by man on foot or by canoe, so itâs exciting.â - By Elizabeth WhittenClick here to watch "The Hidden Geography of Newfoundland," including footage shot in the flooded Bell Island mines. What's Brewing in Port Rexton?